It is becoming strikingly obvious, that MNO’s are finding it increasingly difficult to sustain profitable business models, without the need for consolidation. Not only do they have to compete with one another on spectrum, technology and hard earned ARPU, they also have to compete with cross border MVNO’s, none licensed OTT’s and handset manufacturers. These companies are taking customer’s needs beyond voice, SMS, and data, and into the world of apps, Telecom as a service, universal communication and instant interactive notifications. 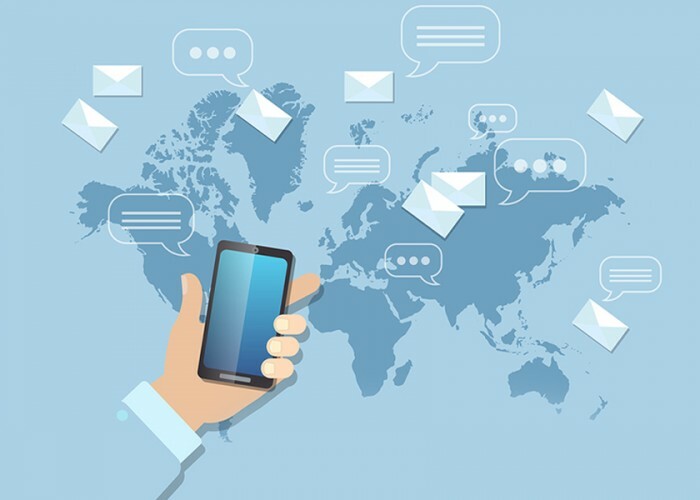 SMS aggregation is facing similar challenges, not only are they competing with one another on which is cheaper and bigger earning or carrying the most traffic, they are also confronted by overrated supply from the MNO’s, disinterest in A2P by end mobile users and very small market adoptions due to a lack of new ideas. All that is forcing aggregators to chase after the big international dotcom’s Two-Factor Authentication (2FA), traffic (international A2P) the likes of Google, Facebook, Whatsapp, Viber etc. The international A2P market is finite, a country of one million Google users will have as much as one million 2FA SMS’s into it every month. Whether one aggregator or ten aggregators compete for it, it will always be the same volume. While using WhatsApp – how many time do you verify a new mobile number? – every six months with a mobile change, while traveling. Same country, one million WhatsApp users, less than one million SMS per month for sure. While aggregators compete on just price to attract the same volumes (two million SMS/month) the value will deplete month after month. But if one aggregator out of every ten focuses on a new use case with one industry for A2P, introduces the service to one new brand or enterprise, the market overall volumes will increase. Creating more demand, hence more operators appeal, and supply and demand market forces. A bank will not just use A2P for 2FA, it will use it for transaction and withdrawal notifications, marketing of financial products, alerts and updates. at least 15 A2P SMS per month for a small local bank with only 60,000 customers, there’s almost 1 million A2P SMS per month right there. A restaurant or food chain, will have a decent database of reservations and names to be used for regular customer’s retention and new customer’s attraction. Small volumes but big potential. Once one restaurant does it, momentum will catch up with others. A pharmacy with regular prescription every month for senior citizens, can follow up on dosage, alerts and reminders and organize visits and pickup time. One other point worth mentioning is while international 2FA by Google, Facebook etc. is free and is considered cost to service – banks, hotels, schools and hospitals can offer this service for a fee and can compliment by adding 2-way communication at a premium. Reviving volumes improving value, stabilizing aggregation and sustaining the returns. Enterprise volumes are and will continue to be long term fixed rate contracts. An aggregator can sign for a year or even two years – with an enterprise – allowing aggregators to enter into long term strategic bilateral agreements with operators and even other aggregators. With long term agreements, consolidation will reduce the risk of default or none payments and opens the door for growth beyond just the current big names. In the car industry, when two companies discuss consolidation or merging, they always looked into not only their financial P&L and bottom line, but also their future product lines and added those to goodwill and intangible assets. In A2P the number of long term enterprise contracts one aggregator has is exactly the same. They are long term assets that have a value and decent margin associated with them.